Marry Christmas my dear friends! May you live a long and happy life filled with goodwill and friendship. Christmas is a time for nostalgia, but it is also a time for making new memories. I hope you have a beautiful holiday. Now Design Birdy and I want to make the presentation of very useful and nice shawl which will remind you all time the home and warmth of home and it will help with your nostalgia. 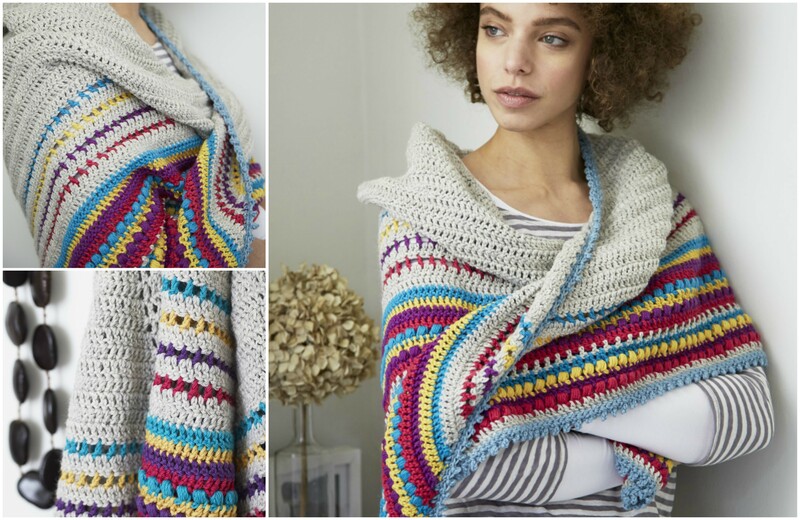 The colors are perfect, but you can make other combination, you can crochet the shawl larger or smaller, but the fact is one, this pattern is very cozy and comfortable. The howl pattern is under the title of the presentation. I hope you will like the article and you will share it with you friends. Good luck to you and enjoy the pleasure of good crocheting.